Home » News » FIRST HAND: And Here's a "Personal" Sanitary Board Story Involving a 90 year old woman, the PSC, and an apparently "false" cut off notice? FIRST HAND: And Here's a "Personal" Sanitary Board Story Involving a 90 year old woman, the PSC, and an apparently "false" cut off notice? Mom turned over a notice to me last AM with my eyes full of sand and already in bed. HNN demands nearly 'all night' shifts; I sleep when nearly everyone arrives for an 8 am to 5 pm shift. I hate mornings. 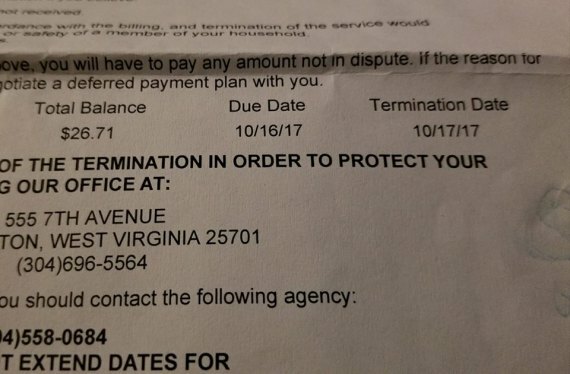 Although last week, I made TWO (one via credit card and one via bank bill pay) payments for a $28.00 (plus) bill that just generated the next month, my 95-year-old mom who mostly still handles her own business (don't you dare interfere) showed me a cut off water notice for Oct. 17 received on Tuesday Oct. 17. After checking with the bank to confirm that it had been sent and deducted, I called Susan Small, media representative for the WV Public Service Commission. Previously, during an uproar over billing, they told me to tell readers to call their office and file informal complaints. Ms. Small handed me to an advocate. The service was impeccable. Within in MINUTES (not hours), they told me all payments had posted at HSB. Her account now had a $40 plus CREDIT (as of 930 a.m. Oct. 18). However, an attorney advised that I also contact West Virginia American Water. WVAW would neither confirm nor deny. They indicated that the HSB if they placed an order for cutoff would have to be the one to remove it. No word on if one existed. I vented, "see you in court." Originally the PSC rep told me have anyone arriving to cut off the water phone the PSC. They called HSB again verifying the CREDIT, but since the advise by notification date had PASSED, I stressed --- the order could already be in . The letter went out last week (? ), after they had the payments. The PSC rep phoned me back. Apparently, these is a communication protocol about who can talk to whom. A PSC liaison had called WVAW and confirmed the water bill has NO BALANCE and there was and never has been an HSB cut off order on the line. That's what happened before I finally got to sleep. What would have happened if they had cut it off? At large councilwoman Rebecca Thacker said, "This is messed up. Just because I work for the city doesn't mean I agree with them." On social media a woman wrote that a HSB employee had behaved inappropriately concerning her grief regarding probate. She also wrote: " I asked that they stop sending my sick Aunt the billing. Cause it’s already in my name... [another HSB employee] said nothing... 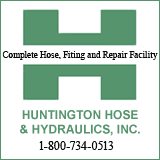 I called the City of Huntington... no one seems to care."